Do I need to tell you what Shopify is? 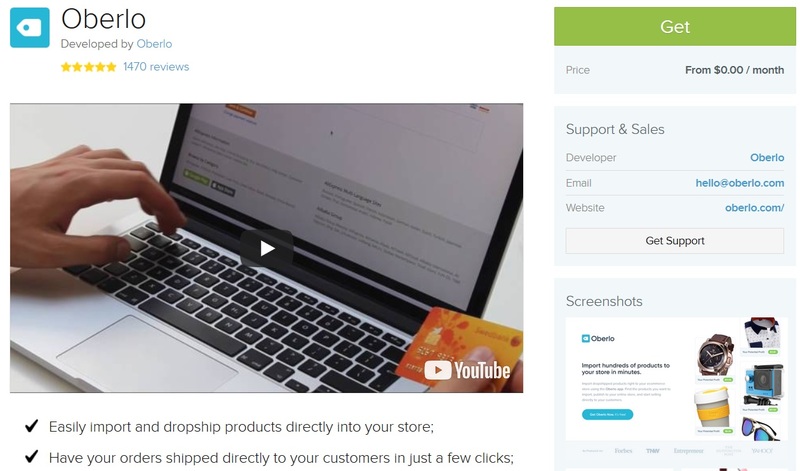 For those who are oblivious to the best thing invented since sliced bread, Shopify is a popular software-based E-commerce platform that allows entrepreneurs to sell their products and services. According to statistics, there are more than 400,000 merchants and 100,000 partners located across 175 countries in the world. To boost the productivity and simplify the lives of their vendors, the Shopify App never falls short of offering a plethora of awesome and intuitive apps. 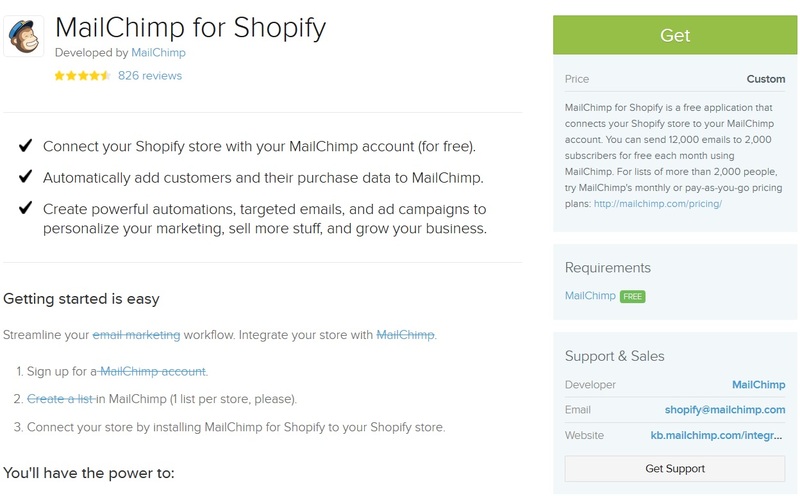 In fact, currently the Shopify app store boasts more than 1800 apps, and most of them are free of cost! The free apps greatly pique the interest of store owners, since they allow them to maximize sales and generate a greater revenue stream, without breaking their bank.With such a wide array of awe-inspiring apps, entrepreneurs might be spoilt for choice and a little confused about which apps to choose and which ones to avoid. 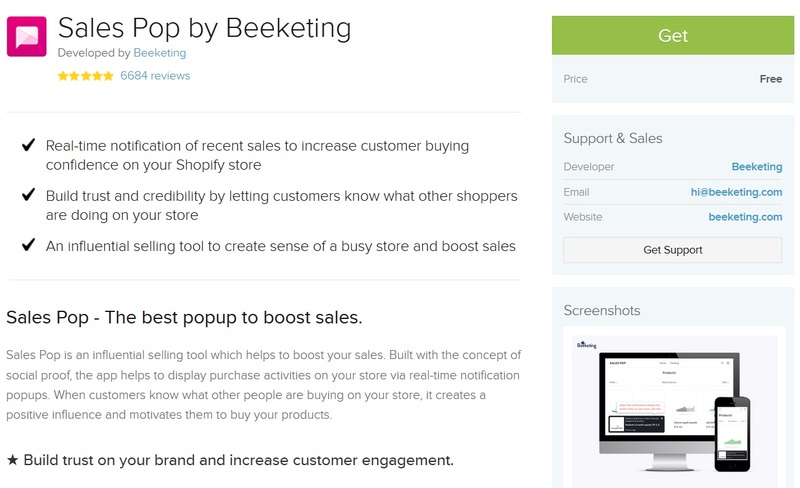 To make the choice easier for entrepreneurs, here are the best Shopify apps that will help you increase your sales. What is the first name that comes to your mind when you hear about “E-commerce brands”? Is it Amazon or eBay? Yes, I might not be a clairvoyant, but I am pretty sure I got that right! What makes them so popular in the E-commerce industry? Despite a host of reasons, one probable reason is their prowess when it comes to cross-selling. Amazon is a champion when it comes to cross-selling their products and services. 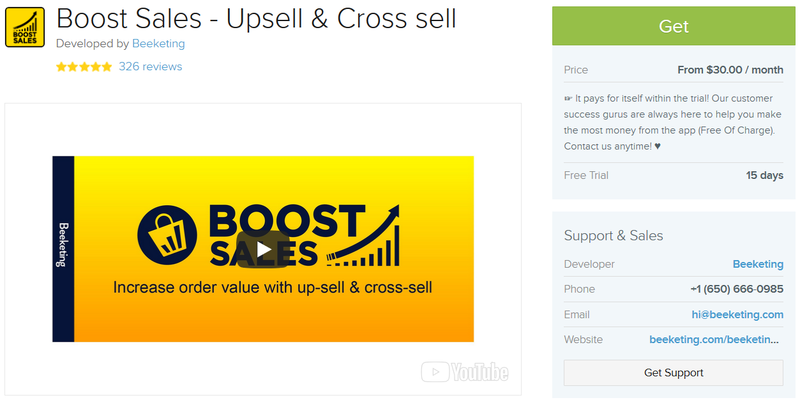 Boost Sales is one Shopify app that not only helps you in upselling and cross-selling, but it goes one step further by telling you which products you should recommend to your customers by analyzing your sales data. With cross-platform support and integration with different tools, you can easily provide a unified shopping experience by integrating all your Shopify sites. Email marketing is an important weapon in your digital marketing arsenal that helps you inform users, engage them and persuade them to purchase your products and sign up for your services. MailChimp is a popular email marketing tool that lets you automate and streamline your email marketing efforts. Whether it be sending abandoned cart emails or promoting the latest discounts on your products, MailChimphas you covered! One Shopify app that did not get the attention it deserved from entrepreneurs and is usually left out from the best Shopify app lists, is Swell. Entrepreneurs are well aware of the fact that it is easier to retain customers than acquire new ones. No strategy is more effective at retaining customers than a reward-based loyalty program. This is where Swell comes into play. It helps you put together personalized loyalty programs with a few clicks. It gamifies the whole process by awarding loyalty points on each user activity, which keeps the users engaged and interested. If are a big fan of customizations on product pages, then Swell will surely appeal to you. Who says that you cannot achieve success overnight! In fact, this is exactly what Sales Pop did. Since its launch in early 2017, Sales Pop broke all popularity records and became one of the most popular free Shopify apps in the world in just over two weeks. With more than 25,000 active users and 2400 reviews, the future looks great for Sales Pop. You can easily track sales with its efficient notifications. These notifications provide you a sneak peek into consumer behavior and make sales tracking much easier. Oberlo takes the hassle out of import drop-shipping products by letting store owners import goods with a mere few clicks. With its quick and efficient delivery, store owners won’t have to wait long to get the products in their stores. You don’t even have to manage your inventory and the app also saves you a lot of money you would spend on designing a product. Processing orders is a breeze too. Starting a new business and managing it has never been easier, thanks to Oberlo. 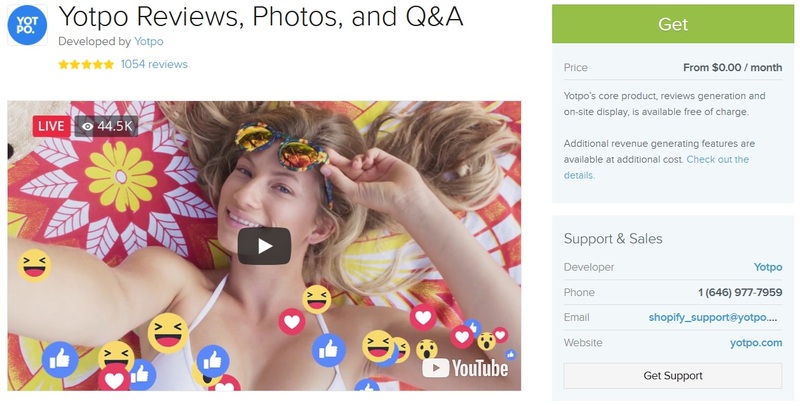 Have you ever thought about leveraging user-generated content to give your business a boost? No? Then you need to do it now. Yotpo helps you do that. It highlights user-generated content in such a way that it reaches the right shoppers and goes well beyond search and social media. You can easily listen to what your customers are saying about your products, measure success and take steps to make future improvements to your products or services. Boost conversions and nurture trust by letting your customers do the talking. 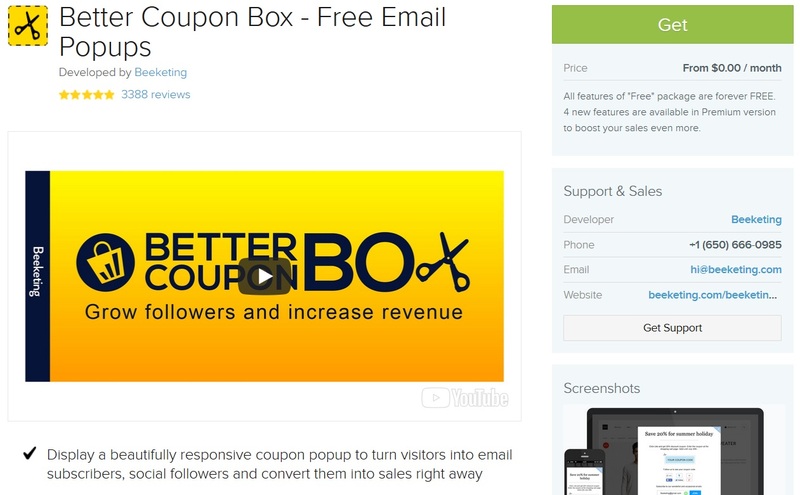 Another Shopify app that has made a huge impact is Better Coupon Box. Ranked as the number one free app in marketing category, Coupon Box has won the hearts of more than 70,000 Shopify store owners and gleaned 2300 reviews. There is also a premium version of this app that lets you tweak coupon pop-ups according to your preferences. You can even control which pages the pop up will appear on and which target group it will be visible to. The added advantage here is that you can even track the intent of the customer when they exit your site, which will give you a clearer picture of what needs to be fixed. Kit is a customer relationship management (CRM) and marketing automation tool. It automates your marketing campaigns and notifies you when you need to post fresh content on social media. Creating discount codes is a matter of a few clicks with this app and you can also send emails to your regular customers. 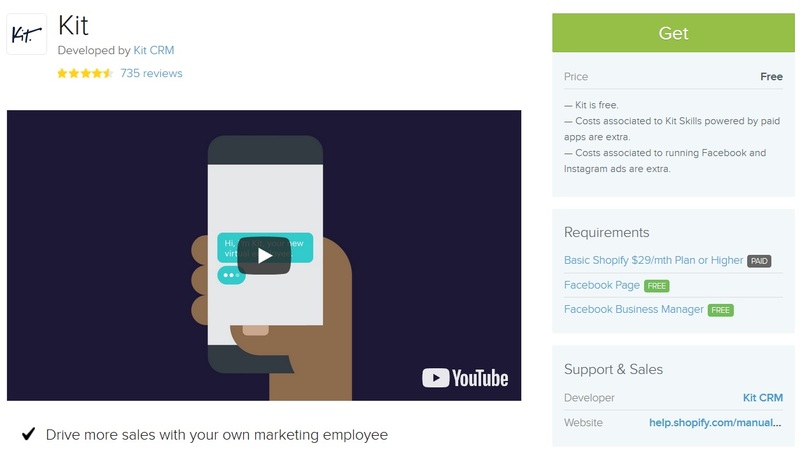 Store owners can also promote their stores on different social channels by creating ads using Kit CRM. Best of all, it can integrate with other marketing tools to help you manage everything in a hassle-free manner. Did you know that more than 15 million businesses have a business profile on Instagram? With more than 600 million users and 400 million daily users, you cannot go wrong with marketing your business on Instagram. 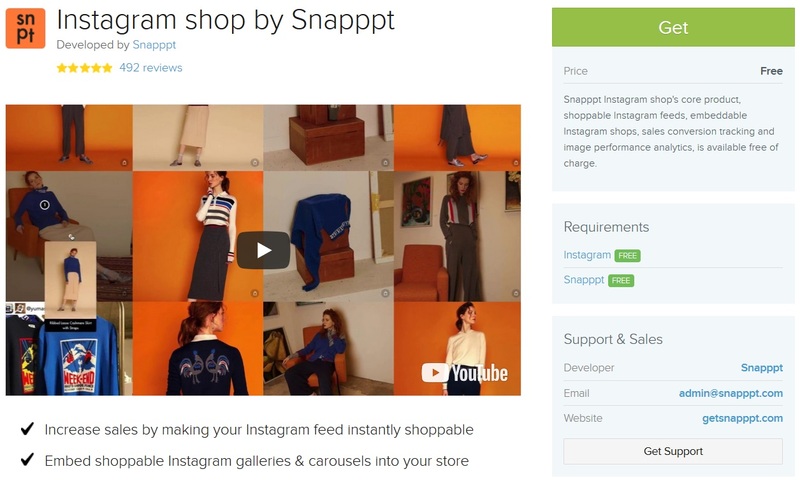 Backed by Instagram itself, Instagram shop app lets you convert your Instagram feed into an online shopping experience, letting your audience purchase specific products right from the app. This saves your buyers from browsing the entire online store just to buy a single product, which makes the overall shopping experience much more convenient. Keeping an eye on Instagram analytics will provide you with some useful insights to improve your business process and increase sales. Instagram analytics tools can help you in this regard. Who doesn’t want their business to show up on the top three results on Google? Unfortunately, it is easier said than done. In order to increase sales, you can use advertising but you also need some organic traffic as well. Optimize different elements of your website to make it easier for search engines to crawl your website. This is where Plug-in SEO comes into play. 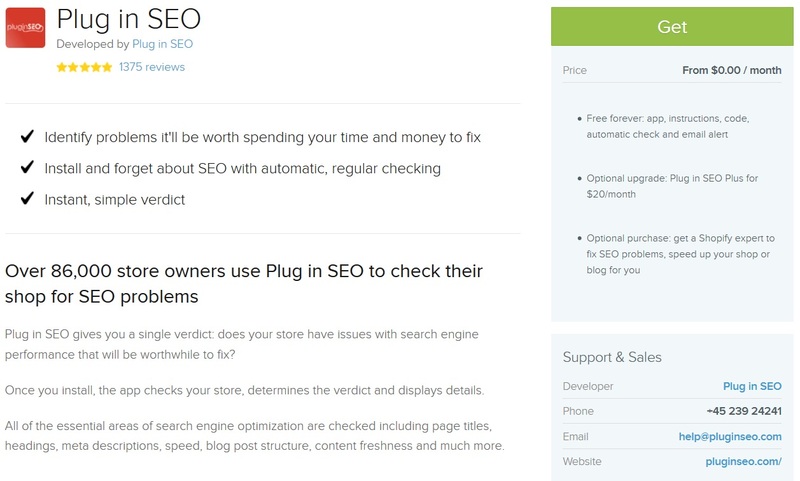 It is one of the best Shopify plugins out there when it comes to SEO. It lets you evaluate your website for search engine optimization based on different metrics and tell you what you need to fix to rank higher in search engines. With more than a thousand five star reviews under its belt, this app deserves your attention. Which Shopify apps do you use? Feel free to share it with us in the comments section below.